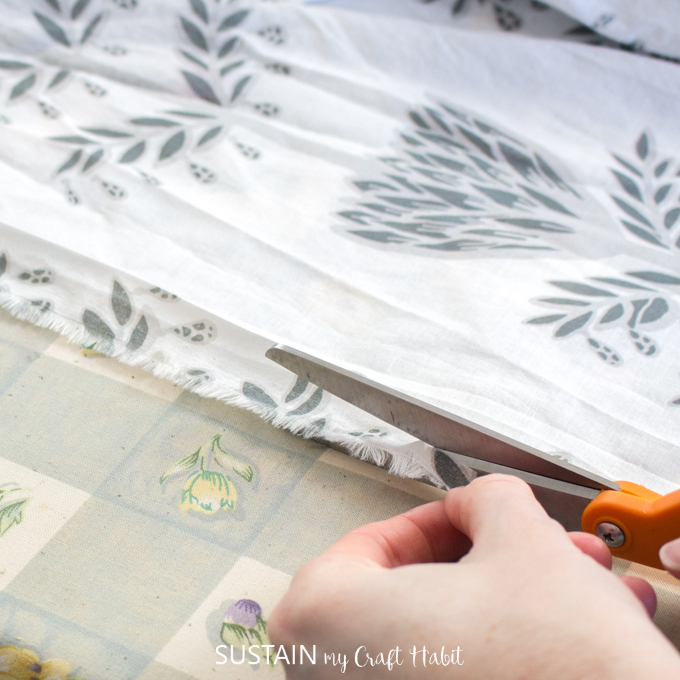 Sewing your own designer curtains is simpler (and less expensive) than you think! 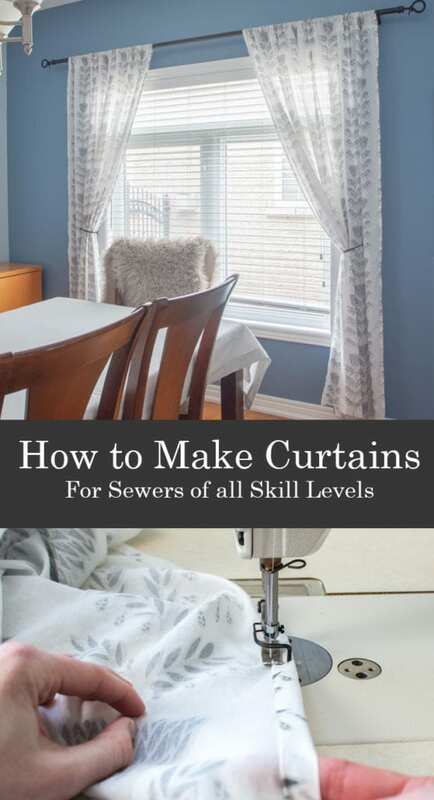 We’ll show you all the steps for how to make curtains you’ll love any living space of your home. Disclosure: This project was sponsored by Canvas Etc. All opinions are our own. 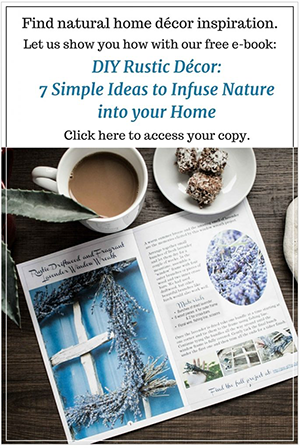 Also, this post contains affiliate links for you shopping convenience. You can read our full disclosure statement here. 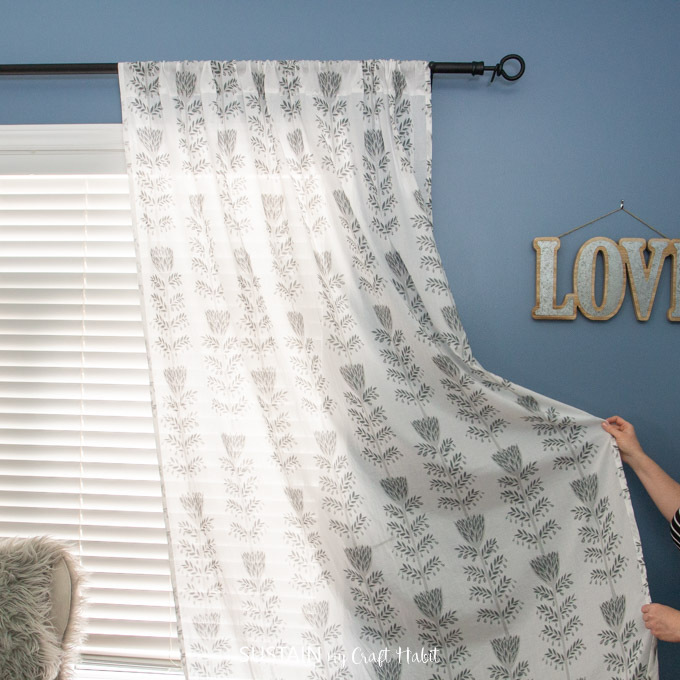 We are once again partnering with Canvas Etc., this time to show you how to make curtains for windows in any living space of your home. It’s pretty great to be able to sew your own custom designer window treatments at a fraction of the cost of ordering them. Even after buying a new sewing machine, you’ll come across on top! 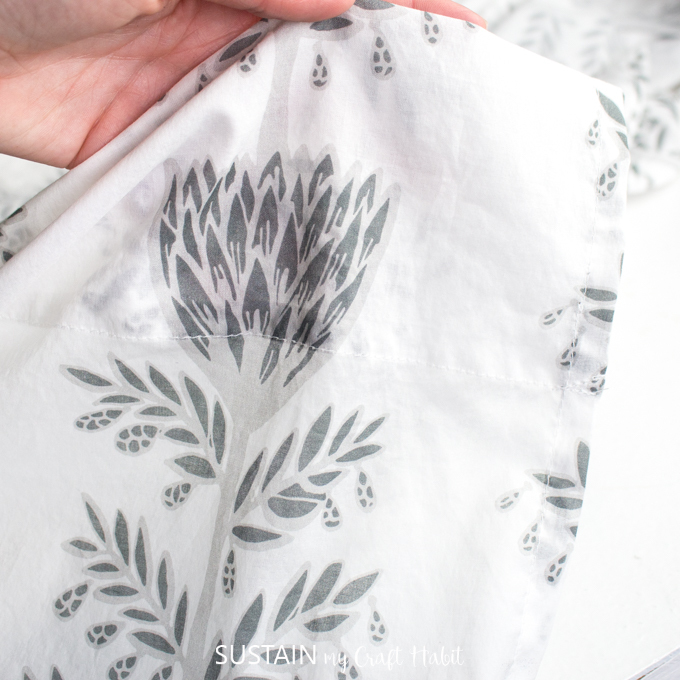 We chose this beautiful Protea print from the Katja Ollendorf collection in Chrome from the online fabric store Canvas Etc. 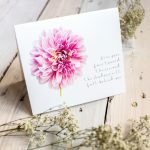 The pattern is a pretty whimsical white and gray floral design and comes in a variety of color combinations if you’re looking for a different color scheme. 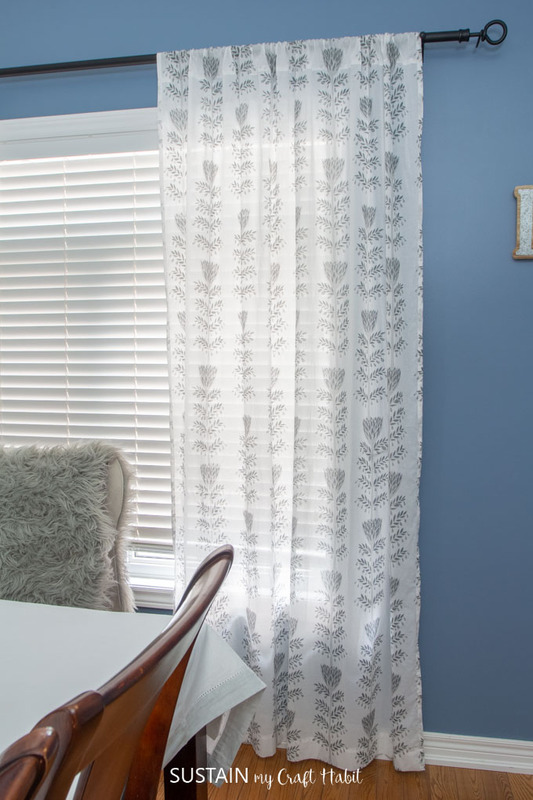 Since privacy was not an issue for Jane’s dining room window curtains, we opted for this light and airy 100% cotton voile. 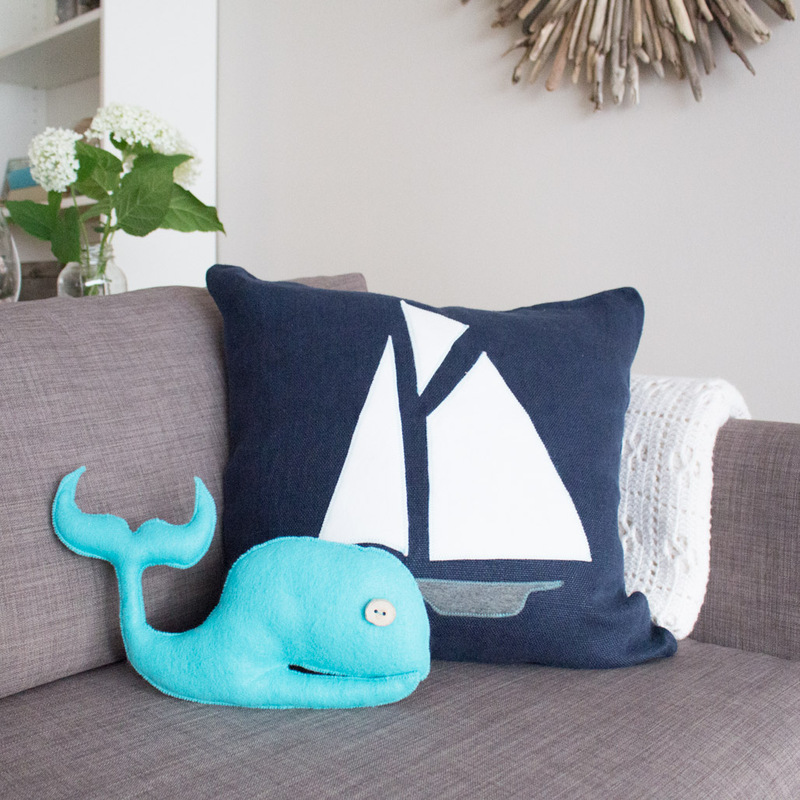 Right away we loved that fabric – it perfectly frames the window and finishes the space. We could have just as easily chosen the faux linen option if we wanted to make a set of curtains for privacy. If you’re unsure which fabric type is right for your project, you can request swatches ahead of time. There are two different types of window mounting styles: outside mount and inside mount. 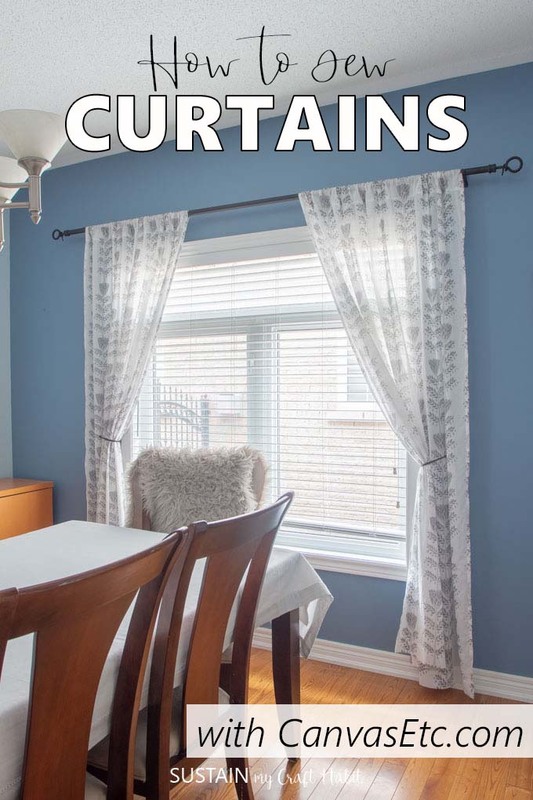 In our case, we wanted our curtains to hang from a curtain rod mounted to the wall outside the window frame. Alternatively, the other option is to secure the rod to the inside of the window frame, which is considered an inside mount technique. Measure the length and width of the window and record your measurements. The width will help you determine the curtain rod length. 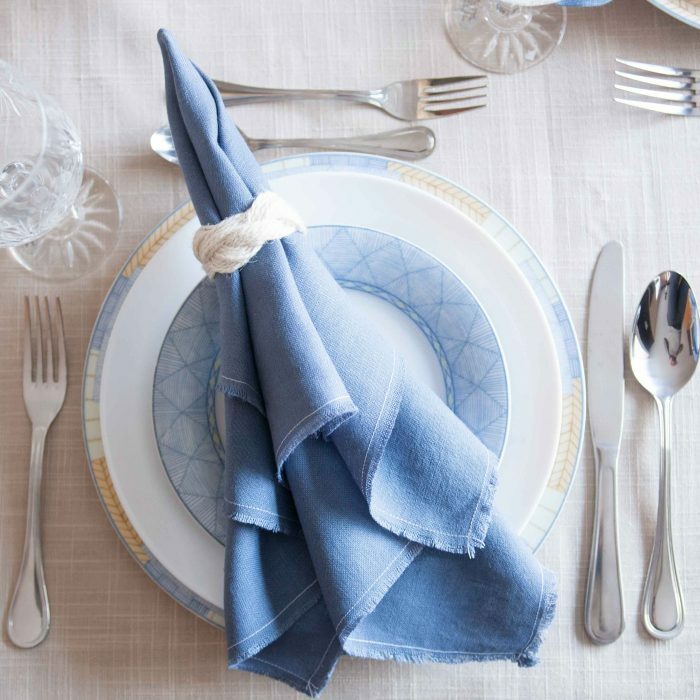 Once you’ve decided on a curtain rod, decide on the placement. We positioned our rod above the window trim approx. 6” (or 15.24cm). 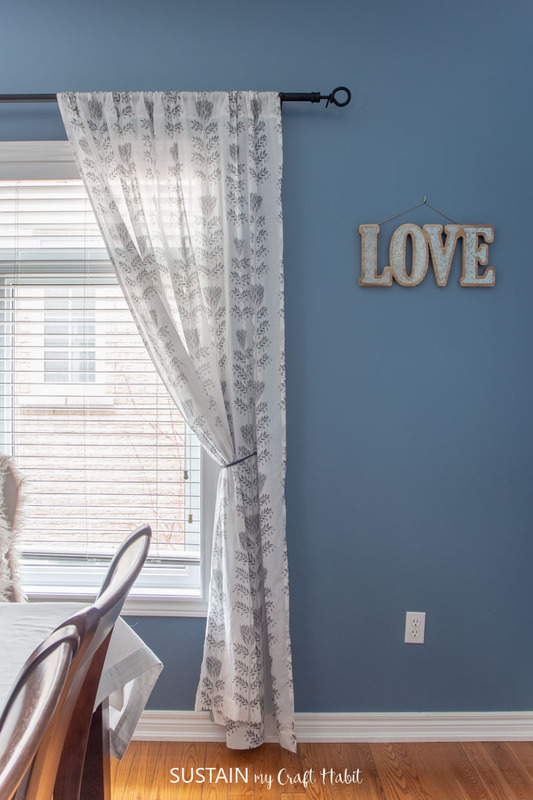 The higher you position the curtain rod above the window trim, the longer the curtains need to be and additionally, the higher the ceilings will look. The nice thing about DIY curtains is that you can customize the lengths to accommodate your windows and ceiling heights. 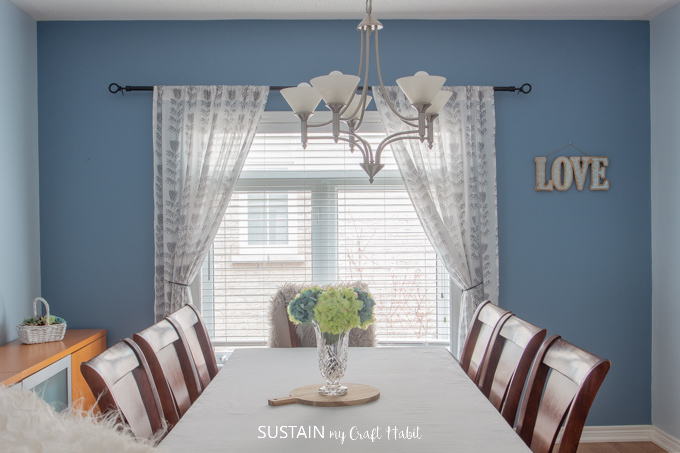 Curtains can come in a variety of lengths such as floor length, above the sill or below the sill. 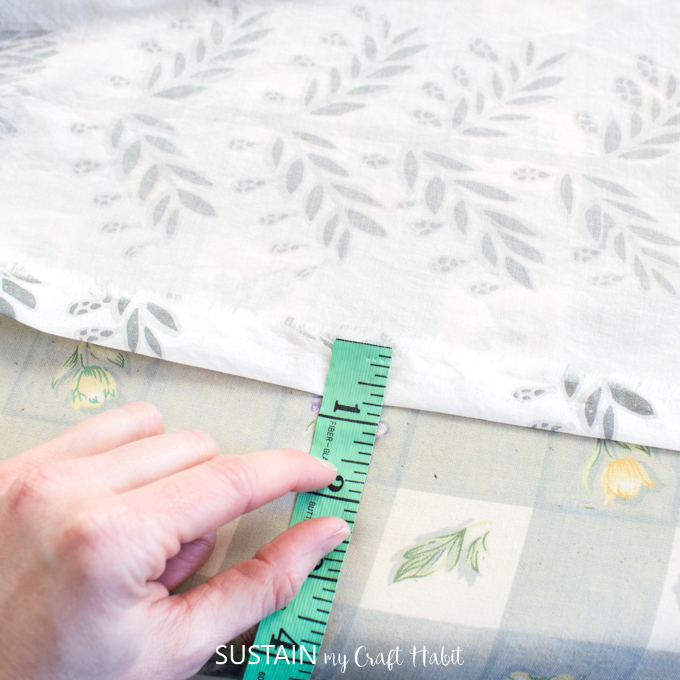 Typically floor length means the curtain will end 3/8″ (or 1cm) above the floor so we kept this in mind when measuring for our floor length curtains. 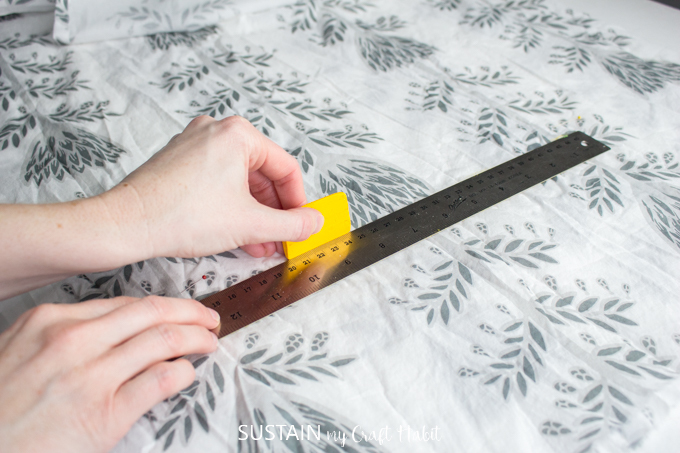 By following these steps, we determined our finished curtain length will need to be 90” (or 228cm) long, this is the measurement from the curtain rod to 3/8″ (or 1cm) above the floor. Your measurement may differ from ours and will depend on the measurements you got from steps 1-3 above. Always remember to add extra length for the hem allowance. Approximately 25” (or 63cm) is sufficient to cover hem allowance, possible shrinkage from laundering and any needed pattern alignment. Taking the curtain length measurement (90” (or 228cm)) and adding the additional hem allowance (25” (or 63cm)) and multiplying it by two for both curtain panels, we needed a total of 6.5 yards (or 5.9 meters) of fabric for this project. 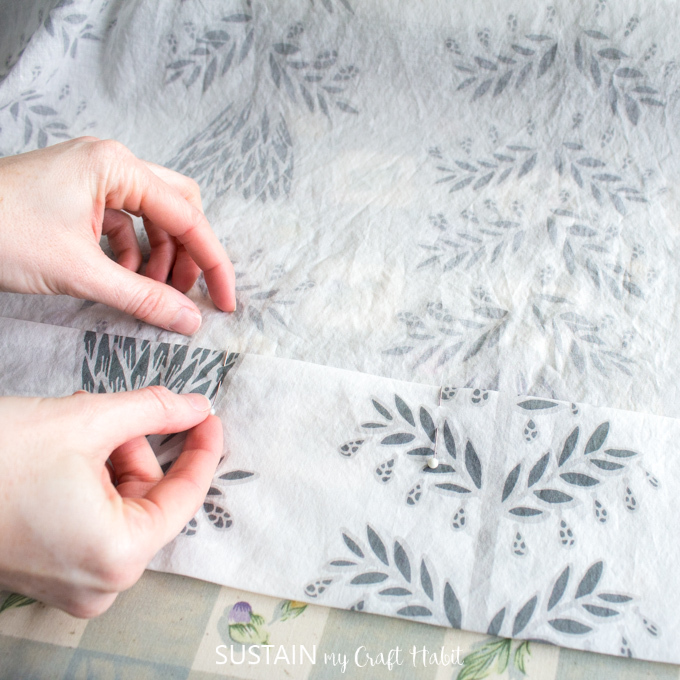 Pre-wash and dry the fabric before cutting and sewing. 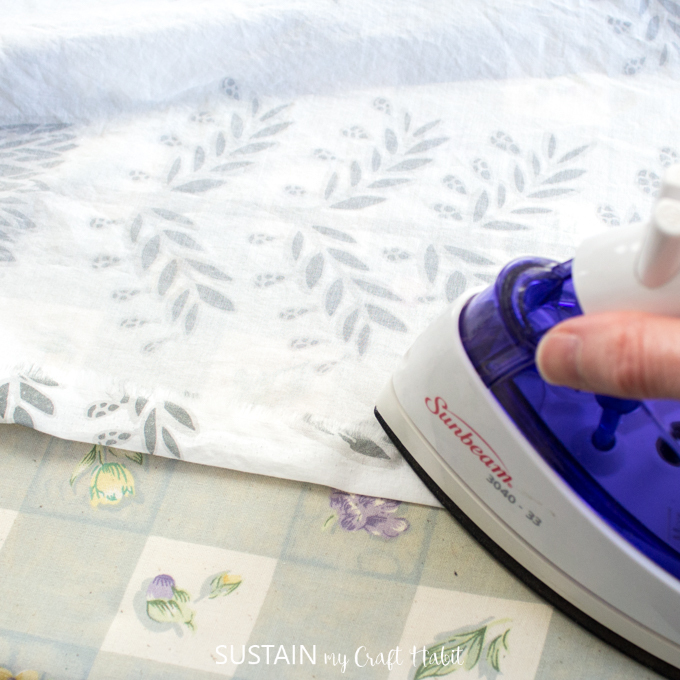 If the fabric comes out of the dryer wrinkled or full of creases, it’s best to iron out all the wrinkles to get a proper measurement before cutting. 2. 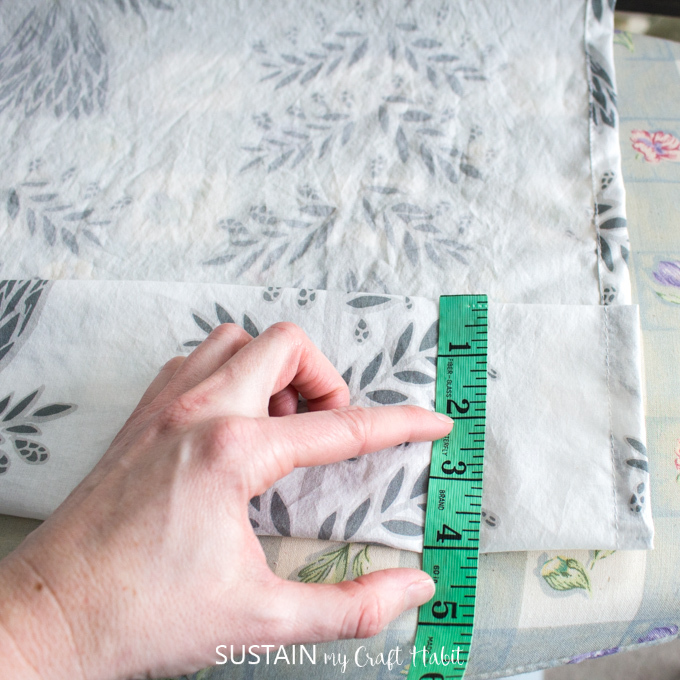 Maintaining the fabric width at 59″ for each panel, cut the fabric in to two lengthwise panels. For example, we ordered 6.5 yards of fabric and cut it in half at 3.25 yards each to make one pair of curtains. 3. 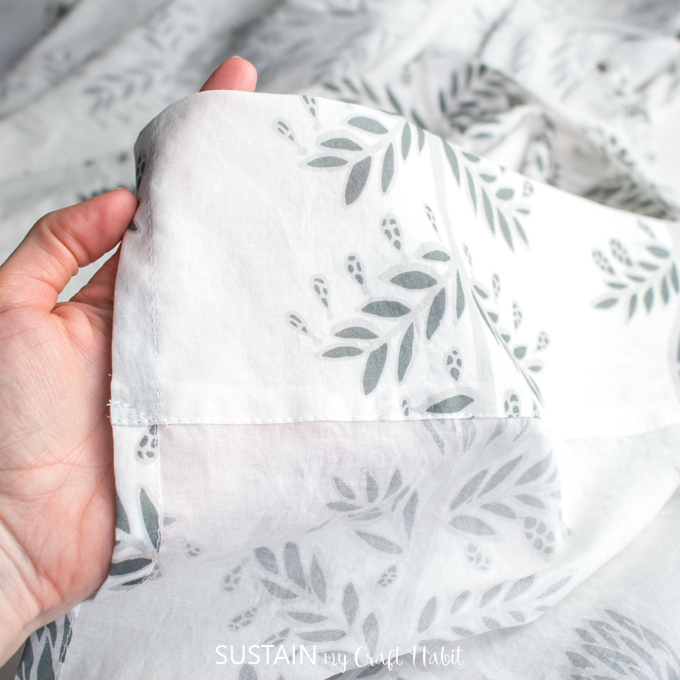 Finish the long ends (also known as the side edges of the curtains) first by folding over the selvedge edges ¾” towards the wrong side and ironing in place. Trim off ¼” of the selvedge edge and put aside for another project. Iron folded edge in place. Trim off the excess 1/4″ selvedge. 4. At the sewing machine, turn the folded long edge over another ½” and top stitch in place. Repeat on the other long side and also on the second panel. 5. To finish the top of the curtain, be sure the top cut edge is straight and square with the sides. The top will have a wide hem to allow room for the curtain rod to fit through. Working with the wrong side facing up, fold over the top edge by ½” and iron in place. Fold over a second time, this time fold over 4” and iron in place. 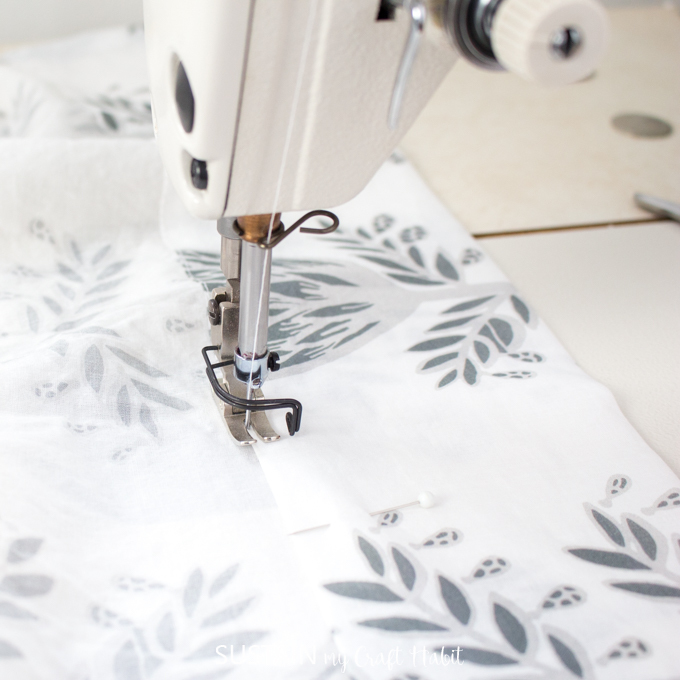 Place pins along the folded section to prevent fabric from shifting or twisting as you sew. At the sewing machine, sew a single needle topstitch following the first folded edge to secure the hem in place. Leave the sides open to allow the rod to fit through. 6. 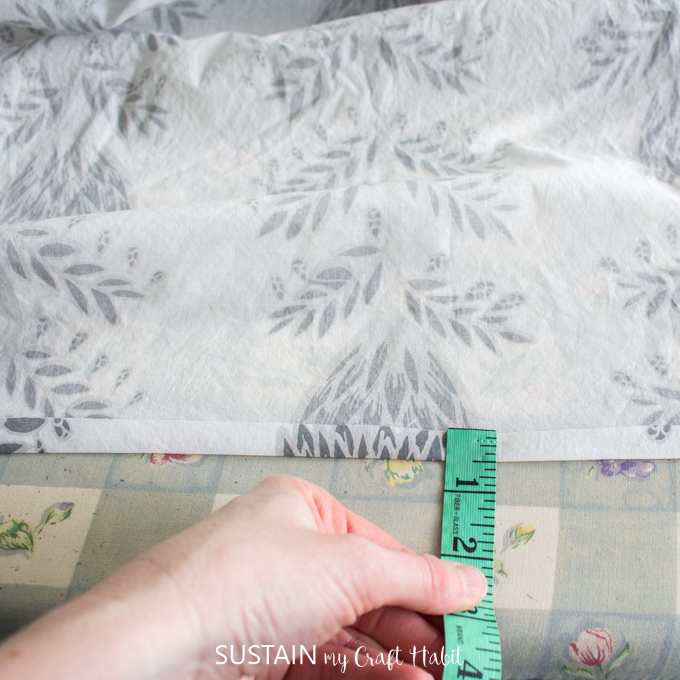 Hang in place to verify the length or alternatively, cut the curtain to the needed length (the measurement from step 3 above + 3.5″ hem allowance) and finish the bottom hem. Working with the wrong side facing up, fold over the top raw edge by ½” and iron in place. Fold over a second time, this time fold over 3” and iron in place. 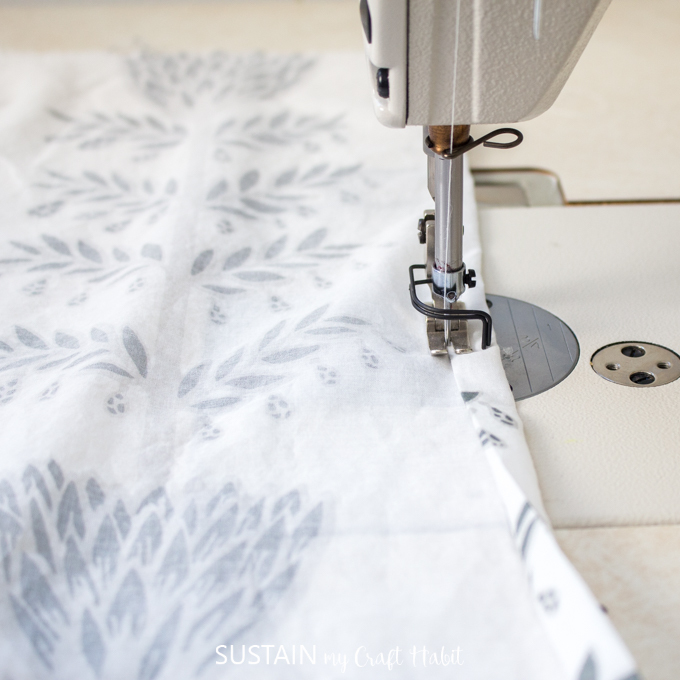 Place pins along the folded section to prevent fabric from shifting or twisting as you sew. At the sewing machine, sew a straight line single needle topstitch following the first folded edge to secure the hem in place. And there you have it, the curtains are finished! 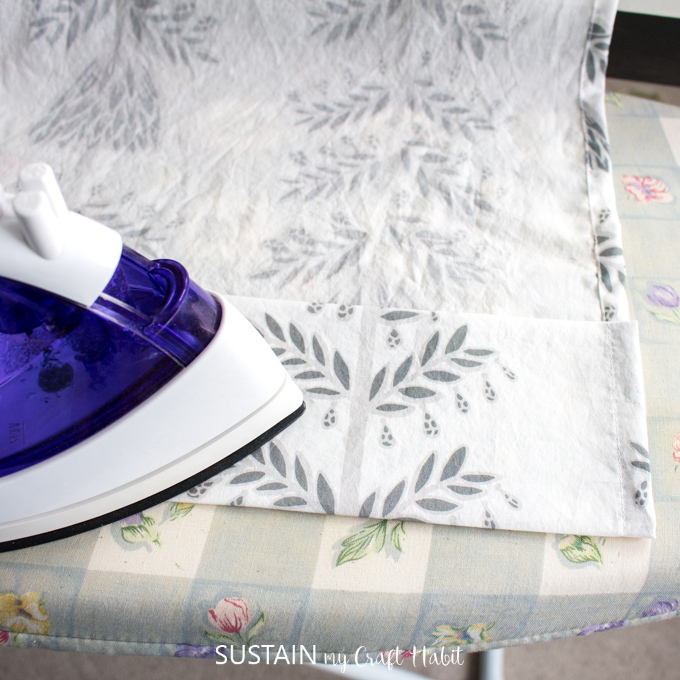 Iron them before hanging to eliminate the wrinkles and enjoy! Did you know that CanvasEtc. 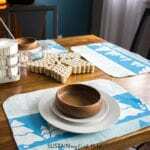 offers their fabric remnants for free! 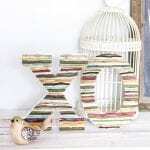 Just pay a nominal shipping fee for a 5lb box of remnants for your DIY and crafting projects! 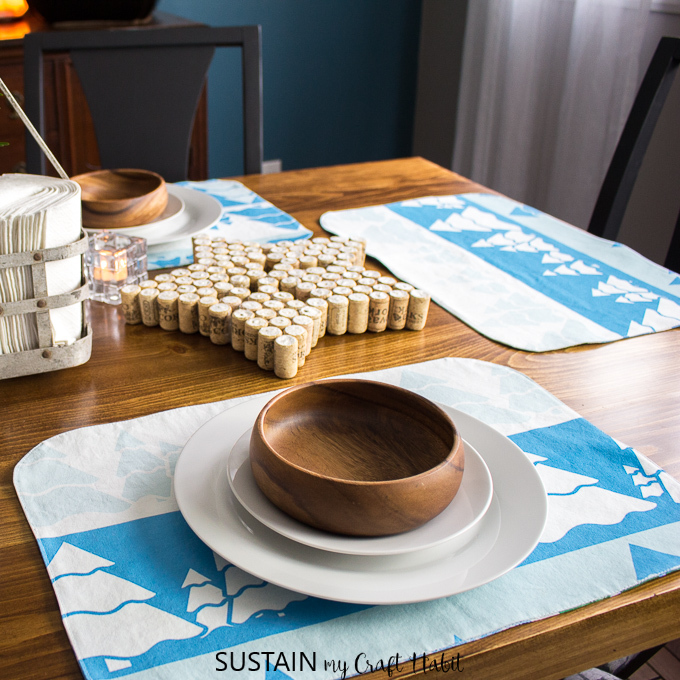 For more home decor sewing project ideas, you can check out these DIY linen napkins, these easy to sew reversible placemats and these beach themed pillows with felt fabric. Thank you to Canvas Etc. for partnering with us on this project. Be sure to stop by and visit them for all your curtain fabric needs!